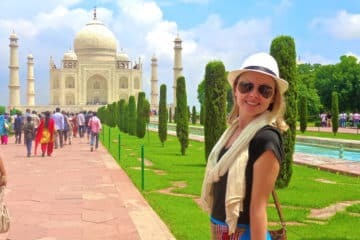 Same Day Taj Mahal Tour By Train from Delhi is perfectly planned package for those foreign sightseers, who desire to explore Mighty Taj Mahal, Agra in one day from Delhi. Explore the Taj Mahal and Local Sightseeings of a city in one day Agra trip by Gatimaan Express train. Explore all Things To do in Agra city with a tour guide by AC Car and return back to Delhi on the same day by Gatimaan Express ( Indias fastest Train ). Enjoy the luxurious Ride of a Fastest train from Delhi to Agra and back to Delhi, a meal will be served on the train. Available to book! – Book Now or Anytime, This tour is available all time. We also accept bookings at the last minute. Private Tour! – no other guest will join, with Private luxury Car & government-approved tour guide. 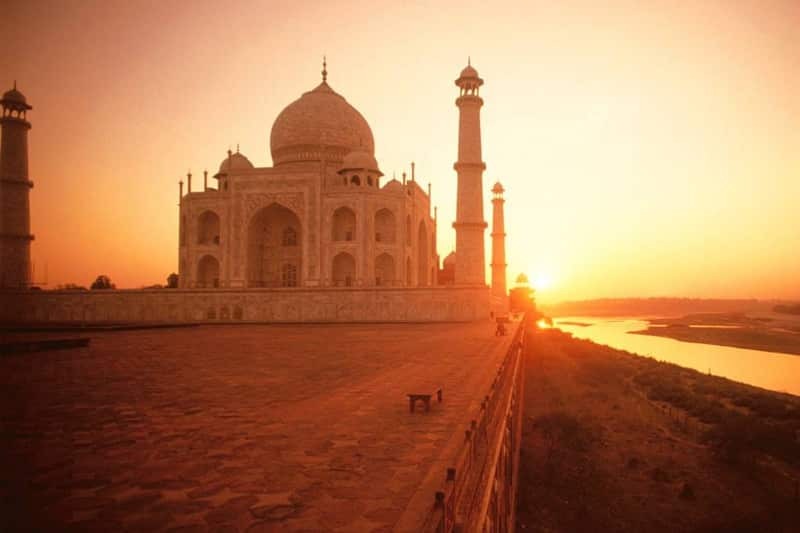 Enjoy your journey by train from Delhi to Agra and return back to Delhi after exploring all sightseeing in Agra. Once in a lifetime chance to see Mighty Taj, Agra Fort, Fatehpur Sikri, Etimad-Ud-Daulah & Mehtab Bagh on Same day. Local sightseeing of Agra City. Full Sightseeing by AC Car in Agra city. Express Entrance Tickets of all Monuments. Government Approved Tour Guide Service Fee. Tips / Gratuities to Tour guide and driver. Train from Delhi to Agra-12050 Gatimaan Express, arriving at Agra Cantt Railway Station (AGC) on platform no. 6 at 09:00 AM. Breakfast will be served on the train. Train from Agra to Delhi-12049 Gatimaan Express, arriving at Nizamuddin Railway Station Delhi (NZM) on platform no. 5 at 07: 30 PM. Dinner will be served on the train. On the off chance that due to fog in winters the train is delayed or the customer needs to end the trip early and needs to take an AC Car back to Delhi by means of the Yamuna Expressway. They would need to pay an additional amount of 55$ USD. In certain circumstances ( special holidays or heavy winter fog ) train tickets may not be available. 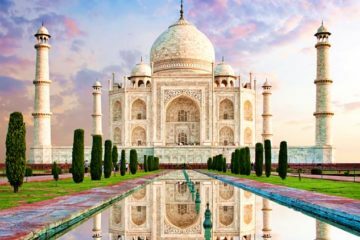 In such instances, a private car will be arranged and representative of India Taj Tours will try to inform this to the customer as early as possible. Pick Up from hotel and drop to Railway Station. At 06:30 AM our Driver lift you up from a hotel in Delhi / Gurgaon / Noida or Nearby. Drive to Nizamuddin Railway Station to catch the superfast Gatimaan Express train for Agra, you will be provided with E-tickets either by email or through our representative. A train will depart at 08:00 AM. Note: Do carry a valid ID proof along with you when you sit on the train, ID proof could be Passport or passport copy, driving license etc. Arriving at the city of Mughals, Agra. 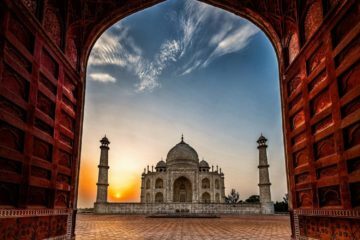 Where the Tour guide and driver would be waiting to welcome you in front of the exit of the railway station (Agra Cantt) with your Name-Board and then taking you to the magnificent building and one of the 7 wonders of the world, the Mighty Taj Mahal. 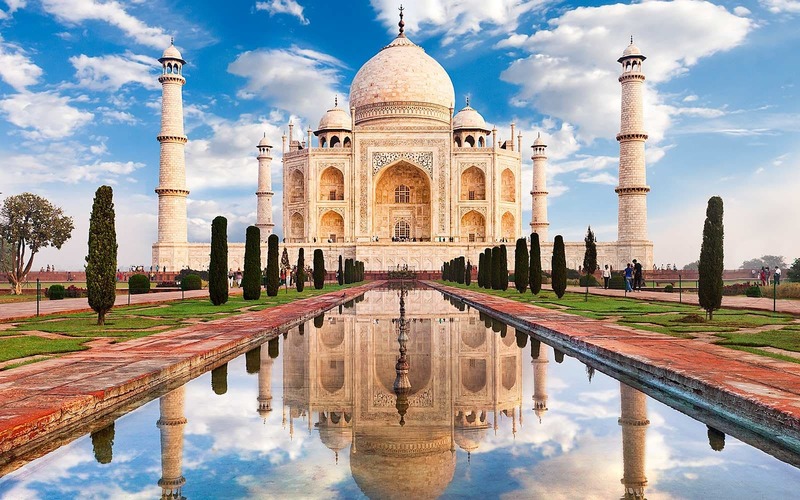 The monument holds an opulent history of affection and love of the Great Mughal emperor Shah Jahan to his beloved bride Mumtaz Mahal, which was made in the 16th century. Expected time of stay in the mausoleum one and a half hour. Afterwards, you explore the heart of the Mughal Empire, Agra Fort. This Mighty Red building itself gives you the view of the glorious rule of the Great Mughal Rulers. The structure holds a brief history of not just the emperor Shah Jahan but also there Great Grandfather Akhbar the Great. Who made the Mighty Agra Fort in the mid of the 15th century. Expected time of stay in Agra fort One hour. After the end of fort moving towards lunch at a Multi-Cuisine Restaurant providing you different flavours of this Mughlai city. After having Delicious lunch, you will visit the Etimad-ud-Daulah also knows as Baby Taj or if you desire to experience a Magnificent view of the Taj Mahal During Sunset, then you can view the Mehtab Bagh. Head towards Agra Cantt Station for boarding the same train back to Delhi. Sit peacefully in the train. A train leaves the Agra Cantt Railway Station. A train will reach Delhi and our driver will come to pick you up from the station and drop you back to the airport or your hotel for your onward journey.